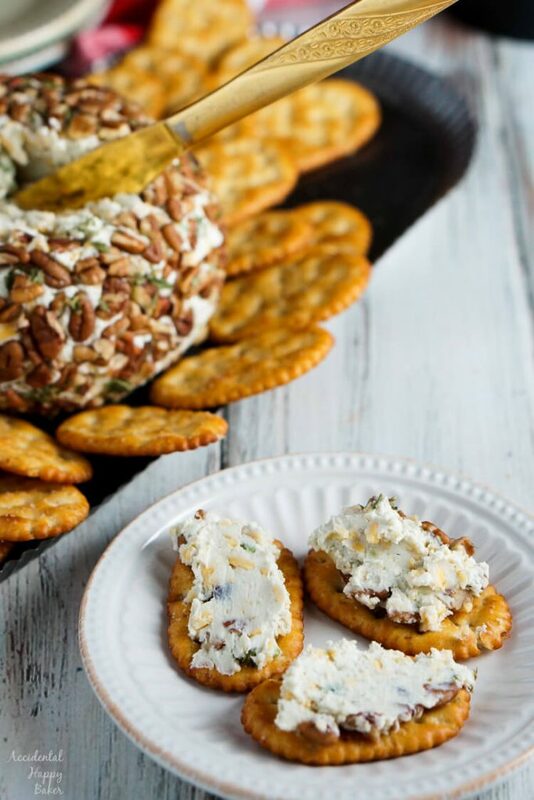 Cream cheese, sharp cheddar cheese, and blue cheese are blended together for a blue cheese cheese ball with a sharp, piquant flavor that’s creamy in texture with chopped celery and pecans for a delightful crunchy contrast. There are several blue cheese lovers on my side of the family, which seems to be a rarity. Do you like blue cheese? If so you should also check out my blue cheese popovers. I love the stuff, even so far as gorgonzola, but I don’t often buy it because my kids and husband don’t really dig it. 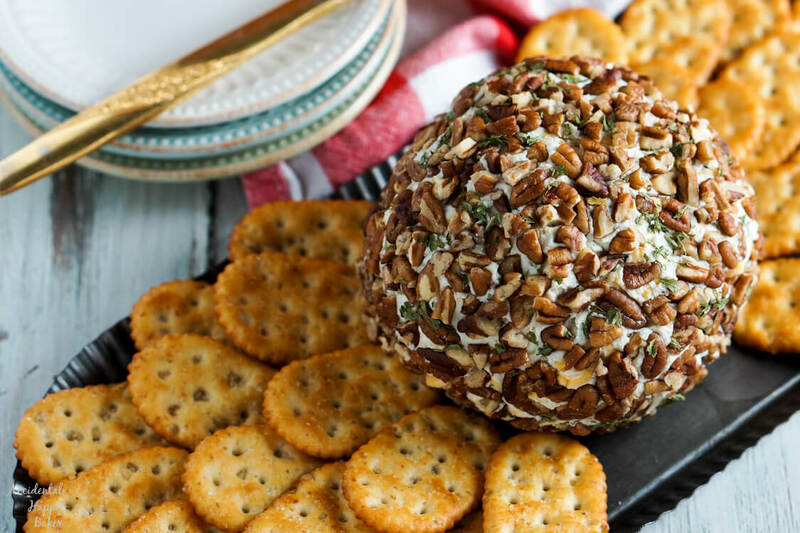 Today’s blue cheese cheese ball recipe is a twist on a classic cheese ball recipe that my family has been making for years. 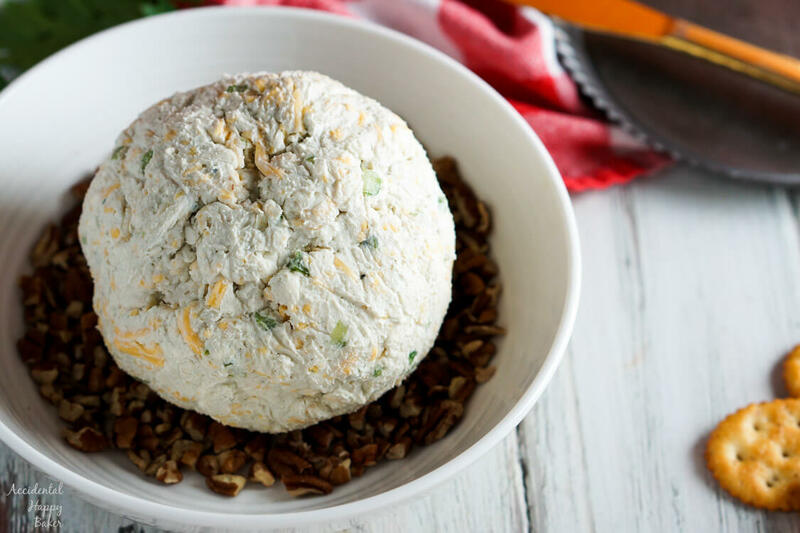 It has cream cheese, sharp cheddar cheese, and blue cheese blended together for a cheese ball that has a sharp, piquant flavor that’s creamy in texture. You’ll also find finely diced celery inside and it’s rolled up in pecans which both add flavor and some crunch. Making a cheese ball is the easiest. Simply mix together your cheeses and seasoning, then using some cling wrap to keep your hands from getting messy, shape the cheese into a ball and wrap to cover. Put it in the fridge until you’re ready for it. Right before serving roll the cheese ball in chopped pecans and parsley. This cheese combination pairs well with wine, making it a perfect appetizer for when you have dinner guests or for parties. For the best blue cheese flavor I recommend making this at least a day ahead of time so the flavors can really blend. 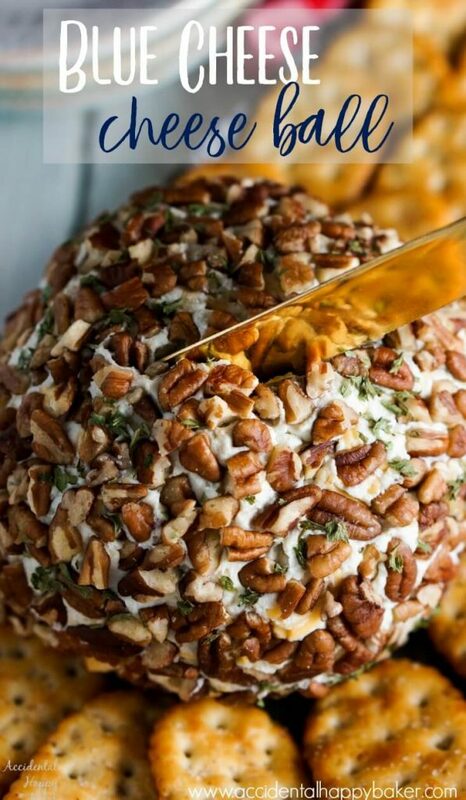 It keeps well in the fridge for several days, just wait to coat the cheese ball in the pecans until you are ready to serve it so they remain crisp and crunchy. Easy peasy super blue cheesy! Combine the cream cheese, blue cheese, cheddar cheese, minced onion, celery and Worcestershire sauce. Blend well. Shape the cheese together into a ball and then wrap tightly with cling wrap. Store in the fridge until ready to serve, up to 3 days. 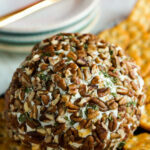 When ready to serve unwrap the cheese ball and roll in chopped pecans and parsley until coated. Serve with crackers.